Jessica Pare: Humanizing French Canadians Since 2010. Warning! May contain some minor spoilers for the season five finale. Read with caution. Two years ago, when the previous season of “Mad Men” was drawing to a close, I claimed that the fourth season was the best season yet (I’m also not entirely sure I actually knew what the word “dissertation” meant). I take it back, because season five blew every other season out of the water. And unless season six can work miracles, and I know Matthew Weiner is good at doing that, it will be tough to top this one. Yet, the season finale, entitled “The Phantom,” was a little bit disappointing. It was definitely not a bad episode. 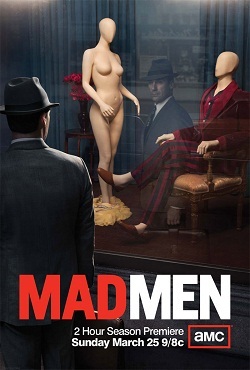 I think my expectations for “Mad Men” are a bit too high. But when a major character dies a week before, it seems a little peculiar to only mention the tragedy once the week after. And while throwing in Don’s brother was a nice touch (it tied in with his guilt over Lane’s death), it felt a little bit out of nowhere considering the fact that Don was less haunted than usual by his past this season. As did the cliffhanger, which questioned whether or not Don would return to his adulterous days. 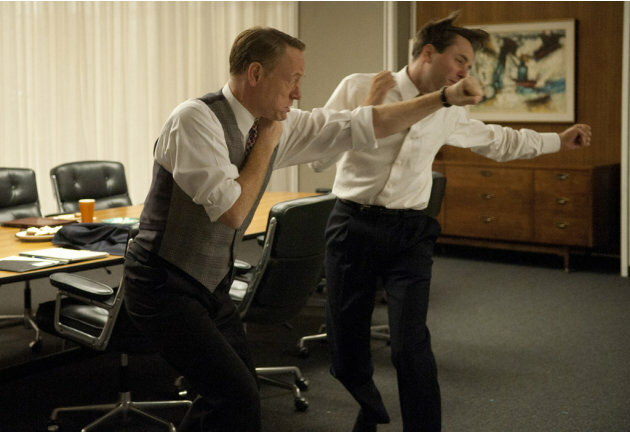 It took a turn for the surreal: “Mad Men” took some storytelling risks this season. It often felt less grounded in reality. One episode involved an elaborate dream sequence in which Don murdered a woman and effectively extinguished a piece of his soul. It also included an LSD trip. More on that coming up. The New Don Draper: Chuck Klosterman wrote a very thoughtful peace on “The New Don.” I didn’t know if Don would be as interesting a person without his alcohol, copious cigarettes, and many affairs. Turns out that can’t be possible. The new Don is a better Don because of Megan (Jessica Pare). To borrow a line from “Jerry Maguire,” she completes him. She is the ying to his yang. She is filled with the youthful energy and ambition that he was beginning to lose as he reached middle age. Also, while we’ve seen Don going through many existential crises with his family life, this was his first major existential crisis at work. For a brief while, the life of an ad executive didn’t seem to be for him. The New Betty and Sally: I have to hand it to “Mad Men” for making two of my least favorite characters likable this past season. Sally (Kiernan Shipka) gets better the closer you draw her to the adult world. Meanwhile, Betty (January Jones) seems much less empty and shallow when she has a real problem to deal with. Michael Ginsberg: Sterling Cooper Draper Pryce went through some major changes this season, including the hiring of its first African American, and its first Jew. Michael Ginsberg (Ben Feldman) became one of the show’s best characters, with the ambiguous revelation that his backstory might include being born in a concentration camp. He also has an odd, outgoing, and unforgettable personality. Some might call him a Jewish stereotype, which to me is just another word for totally relatable. Roger Takes LSD: This season, the usually old school Roger attends a fancy party (surprisingly lacking monocles) and drops acid. It is not some stereotypically bad trip of melted colors, but rather one of the greatest scenes crafted on this show. It goes from funny (an orchestra playing every time Roger opens a bottle of liquor) to moving (Roger hearing the sounds of cars from his childhood). And it is all perfectly set to The Beach Boys’ “I Just Wasn’t Made For These Times.” And most importantly, this wasn’t just some throw away scene: Roger really changed from it. And it effected him the rest of the season. 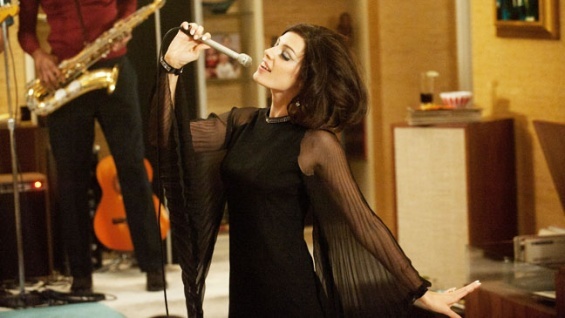 Something French: Season five kicked off with Megan’s memorable rendition of Gillian Hills’ “Zou Bisou Bisou,” met with a very awkward reaction from Don and company. The catchy song quickly reached the pop culture lexicon, and was even featured on an episode of “30 Rock.” Between this, and Francoise Hardy’s “Le Temps de l’Amour” making an appearance in “Moonrise Kingdom,” I hereby proclaim 2012 the year that 1960s French pop music became popular again in America. Connecticut: It’s nice to see that my homeland became a representation for suburban boredom. I can’t say that living here is as exciting as living in New York City, but at least I didn’t grow up in Cos Cob. Pete Campbell: Even after five seasons, I still don’t quite know how to feel about Campbell (Vincent Kartheiser), the ambitious child of privilege. On the one hand, he’s constantly selfish and conniving. On the other hand, he exemplified this season that even if you have everything you want, it’s possible to still be missing something. As Don became more and more of a moral compass, Pete transformed into the man Don once was [Editor’s Note: How could anyone possibly cheat on Alison Brie? How?]. Kartheiser is one of the ensemble’s best actors. Nonetheless, it was a great moment of schadenfreude to watch him get punched in the face. Filed Under: First World Problems. I can’t even say if this post does the entire season justice. What were your thoughts on season five? Were you satisfied by the finale? What questions do you need answers to? And did you finally figure out what this poster meant? This entry was posted in Analog This, Jessica Pare, John Slattery, Jon Hamm, Mad Men, Mad Men Season 5, Matthew Weiner, Season Finale on June 11, 2012 by ian0592.